Kate Scott says the only one she regularly e-mails is her mother. Dmitri Gunn works at MIT’s Media Lab, one of the most hyperconnected places on Earth. But when it comes to the one ubiquitous form of communication of the digital era, Gunn is unplugging. He’s turning off his e-mail to the outside world: Gunn won’t give out his e-mail address to most people and doesn’t even list it on his business card. To stay in touch, Gunn reverts to a relic of the analog age — the phone. “If it’s urgent, or important, then by God, they’ll call,” said Gunn, who has been on a yearlong campaign to take back control of his inbox after it became overrun with virtual junk and superfluous messages. With billions of e-mails shooting around the world every day, clogging Gmail and Yahoo accounts everywhere, many are recoiling from the torrent. It’s either too much of a chore, or just uncool. The young set has bypassed it altogether, seizing on social media tools such as Twitter, or texting, as their primary means of electronic chatter. Some big companies find e-mail outdated, and instead are using more sophisticated internal messaging networks that filter out outside noise. And some busy professionals say it isn’t convenient anymore — a time-waster, in fact. Seseri, like Gunn, isn’t going cold turkey. She still gets more than 100 e-mails every day, but now spends much less time deleting unwanted messages. Periodic protests against e-mail aren’t new. But with Twitter, Facebook, and other social media now established as everyday tools, more people are finding that they can turn down or turn off e-mail altogether. In fact, the amount of consumer e-mail traffic fell 9.5 percent between 2010 and 2012, and is projected to keep declining for the near future, according to the Radicati Group, a Palo Alto, Calif., technology research firm. Popular services such as AOL have been around for about 20 years, but e-mail hasn’t really changed all that much over time. Meanwhile, people use technology to communicate in multiple ways, and for many e-mail is simply too limiting. Erik Qualman, author of a book about social media, “Socialnomics,” said the shift away from e-mail is a normal progression of communication forms. The simplest evolution involves combining different functions into a kind of hybrid system that makes e-mail redundant. Twitter and Facebook, for example, each have messaging systems built in that replicate the direct — and private — contact e-mail provides, but have controls for users to limit who can contact them. Moreover, those services have yet to be as overrun by spammers as e-mail has. And the new generation of networking tools, from IBM, Salesforce.com Inc., Yammer, and others, go way beyond basic communication. They are, in essence, virtual workplaces that combine the functionality of multiple programs, from e-mail to logistics to content production. In these closed networks, employees can share files, show work in progress, and have personal and group conversations or communications using text, pictures, or live video, without switching back and forth among multiple programs. If users still can’t do without traditional e-mail, those programs can pipe in outside services such as Gmail. One executive at IBM, Luis Suarez, has not used e-mail for business communication — with the rare exception — for five years now, relying instead on the company’s internal network, Twitter, a personal blog, and other social media to show that corporate life can continue just fine without it. Some companies are just opting for less. You cannot find the direct e-mail addresses of Fairhaven Capital’s top employees on its website; the curious will have to settle for messaging the company’s general info box. Another local venture firm, NextView Ventures, doesn’t put any e-mail addresses on its website (or a phone number, for that matter). Instead the company recommends interested parties follow it on Twitter, or jump to the principals’s LinkedIn accounts or online blogs. The absence of e-mail is particularly widespread among the younger members of the digerati. Young adults who grew up with social media often don’t even know what they’re missing, since e-mail was never their dominant tool for communication. 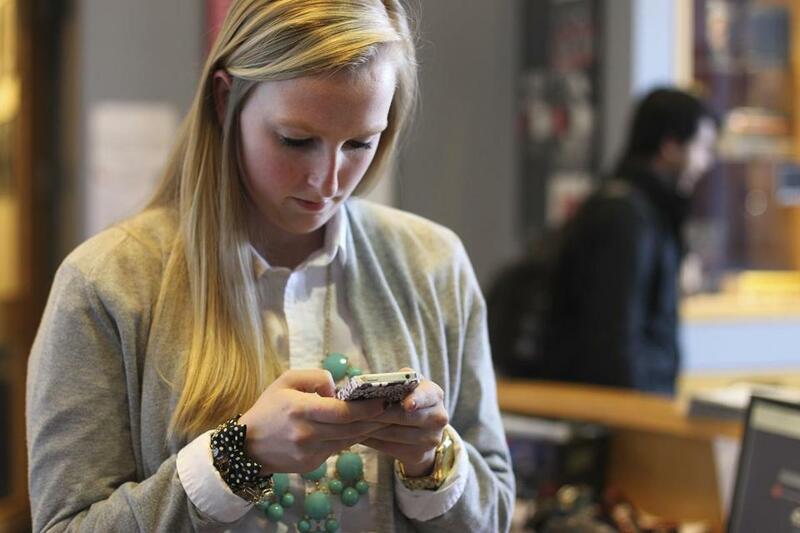 “I check Facebook first, then Twitter, then Instagram after that,” said Kate Scott, a 21-year-old Boston University student. Rudina Seseri, a partner at Cambridge’s Fairhaven Capital, no longer puts her e-mail address on her business cards. “I e-mail my mom — that’s the only person I regularly e-mail,” Scott said. Giving up e-mail may also be good for you. Last year the Army and the University of California Irvine jointly published a study of workers at the military’s materials lab in Natick who had given up e-mail for five days: The unplugged employees had lower stress levels and better focus than colleagues who continued to check their in-boxes. But e-mail by far remains the dominant means of electronic communication, so abstainers run a risk when they ignore a tool that so many other people in their lives still use. When David Gerzof Richard, a marketing and social media professor at Emerson College, recently e-mailed an assignment to his students, about a quarter of them did not do the work because they had not checked their e-mail. Citing “technical difficulties,” Gerzof Richard granted those students an extension. He’s also bowed to reality. When Gerzof Richard really needs his students’ attention, he’ll send a text, or if it’s urgent, a tweet.